The one thing I truly love about blogging is the people I meet. From readers sending me emails and comments and the circle of blogging friends that I have “met”, I have connected with people from around the world. None of us have ever met in real life, but we have connected through our keyboards. One of my dearest blogging buddies is Claire from Claire K Creations. I have known Claire for a few years now. She lives in Brisbane, Australia and I live in Buffalo, New York. It is awesome that we live so far apart, yet can feel like we are in each others kitchen. Some days, you have to love modern technology. That is what makes blogging special, the relationships you make. I often tell my blogging friends that I wish I could be more social. Sometimes my Twitter is chirping more than tweeting. It’s hard when I am also trying to raise twins. I won’t even get into potty training. Let me just say it’s tough. For those who had an easy time potty training, please send me your suggestions! I do the best I can to juggle it all, and I am thankful for the dear friends, like Claire that I have met along the way. Claire is actually coming to visit me from Australia. Ok, maybe not come to visit me technically, even though she is more than welcome to, but she is coming to the United States with her hubby for vacation. She is going to be in New York City touring the Big Apple. She’ll be in the same state as I live in, so we’ll be kind of close, right? 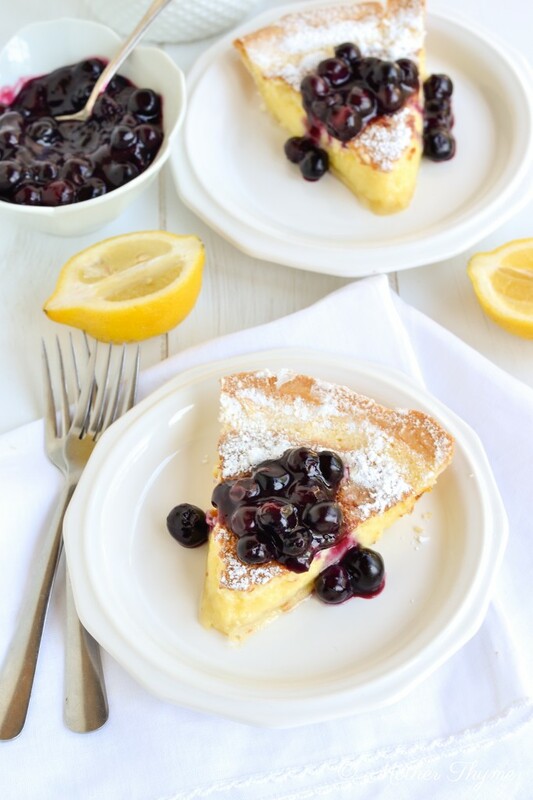 Anyways, while Claire is enjoying the city that never sleeps, I am heading to Brisbane (not literally) to hang out on her beautiful site, Claire K Creations to share this yummy Lemon Cake Pie. If there is one dessert you make this summer, you need to try this. It is out of this world. It’s a little cake and a little pie all in one bite. To top it off, which is not even necessary I make a blueberry compote that is the perfect compliment to this easy, yes easy and amazing dessert. For all the scrumptious details, come visit me today at Claire K Creations, clicking HERE. On a side note, I have an exciting promotion going on this weekend on Amazon! If you own a Kindle, or even have the Kindle App on your tablet, you can download Summer Thyme this weekend only for FREE! Click HERE to download your free copy. This promotion only lasts from June 7-9, 2013 so grab it while you can, or purchase a beautiful print copy HERE. Enjoy! « Lemon Cream Pie Frozen Yogurt plus GIVEAWAY! I love this recipe! (Pinning!) It’s so gorgeous, too. It’s alright, my twitter is normally just chirping too…hehe! That looks delicious and what a gorgeous pic! I had the hardest time potty training my 4 yr old daughter. I thought she would never get there. My first daughter was easy. Now I have a nearly 6mth old son and I’m dreading it! Ugh! 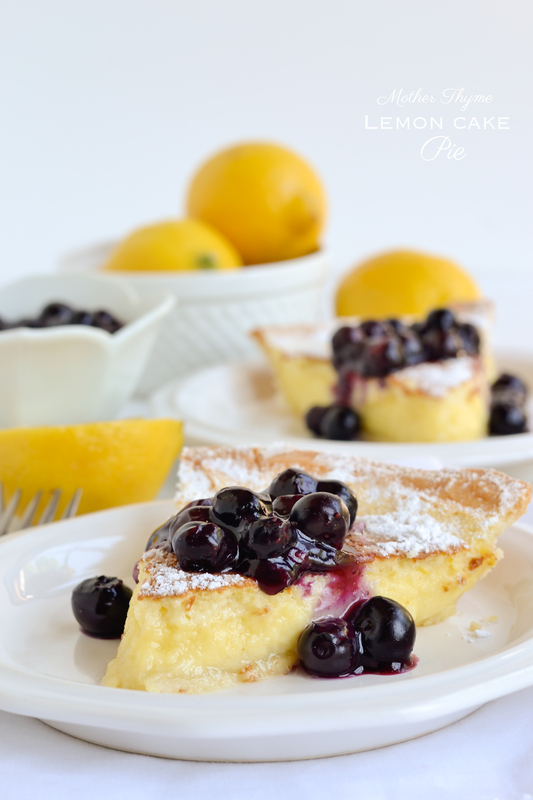 So gorgeous, love the lemon and blueberries! Lemon desserts are always my favorite! This looks amazing!! Pretty pics! I tried to download Summer Thyme on my Kindle, but could not complete it. I even looked on Amazon and tried, but it would also not work. If that doesn’t work, you may need to contact Amazon to see what may be the problem. I hope you can get it downloaded so you can enjoy these recipes. So glad I popped over from Claire’s site! This is the second lemon pie I’ve seen this week, I think it may be in my very near future 🙂 It is amazing the people we meet online isn’t it? I’m a NYC transplant in Sydney – and pass through Buffalo every time we go home to visit my mum (down on Lake Erie). So disappointed I missed the promo on your book – it looks simply lovely! That lemon pie looks so good! So where do you get the recipe for this great looking pie. I can’t find it. And it was posted on my facebook but I can’t get the recipe. Got this in the oven right now, fingers crossed!!! It looked so pretty in the picture! Enjoy! Let me know how it turns out for you. 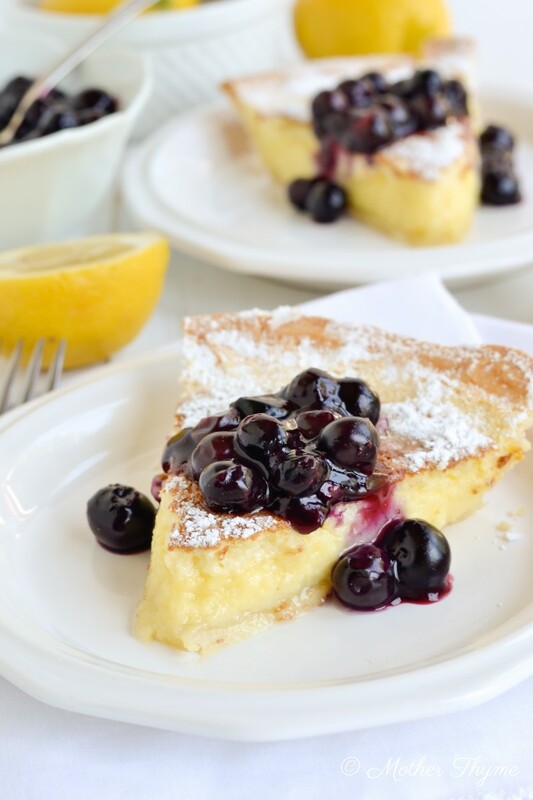 Your pies &cakes look delicious would love to try the Lemon Cake Pie, but can’t seem to find the recipe. I also love to cook and bake. Will try some of your other recipes! Great recipe! Here are my small adjustments – I covered with foil for the first 30 minutes, then baked uncovered until golden. I reduced the sugar by 1/3 and then did not sprinkle with icing sugar. I think if I did want to add the icing sugar, I would further reduce the sugar in the pie. I also added quite a bit more lemon zest to it (I keep dried lemon zest on hand from previous times I’ve used lemons without needing to zest them for the recipe). These changes will produce a more lemony and less sweet version of this fantastic pie!